Armaf High Street Perfume by Armaf, Armaf High Street is a floral woody aromatic profile that enchants both wearers and those around them . This fragrance begins with a fruity, crisp top note combination of fresh citrus and raspberry, before developing into am intensely sweet floral heart of honeysuckle and magnolia. A rich, soft base of cashmere wood, amber and musk imparts both sensuality and lasting power to make this easily a favorite for all-day wear. 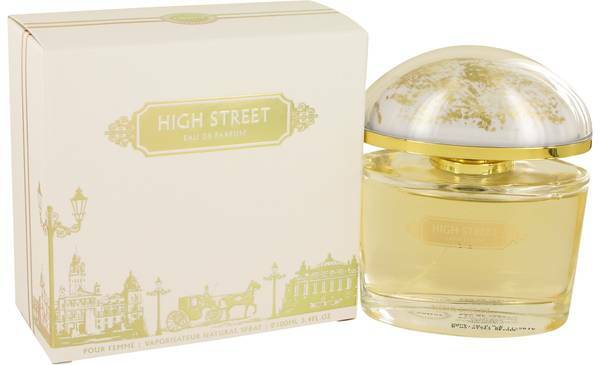 Whether it’s a couple of sprays for a Read More Read More daytime pick-me-up or a go-to choice for evenings out, High Street is sure to envelop you in its vivid, entrancing accords. Founded in 1998 in the United Arab Emirates, Sterling Parfums is a beauty and personal care products company with an eye for establishing a global presence and diverse product lines. Its Armaf brand ups the ante with classic elegance, offering a broad range of fragrances from subtle, delicate perfumes to bold, head-turning colognes. All products are original, authentic name brands. We do not sell knockoffs or imitations.